A mix of passion, playfulness and purpose has served Don and Renee Gorman well both in and out of the kitchen. 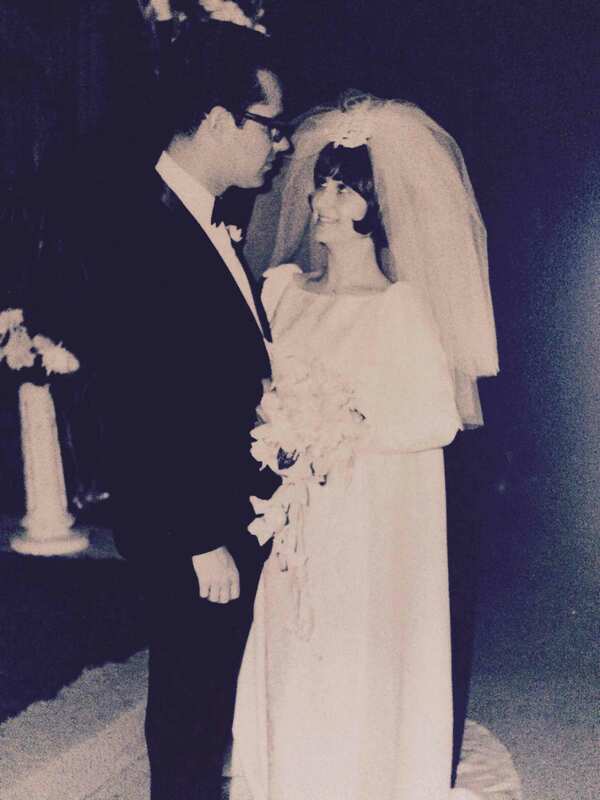 Don and Renee Gorman on their wedding day. The pair, who will celebrate their 50th wedding anniversary in December 2016, have a long history in the restaurant business. 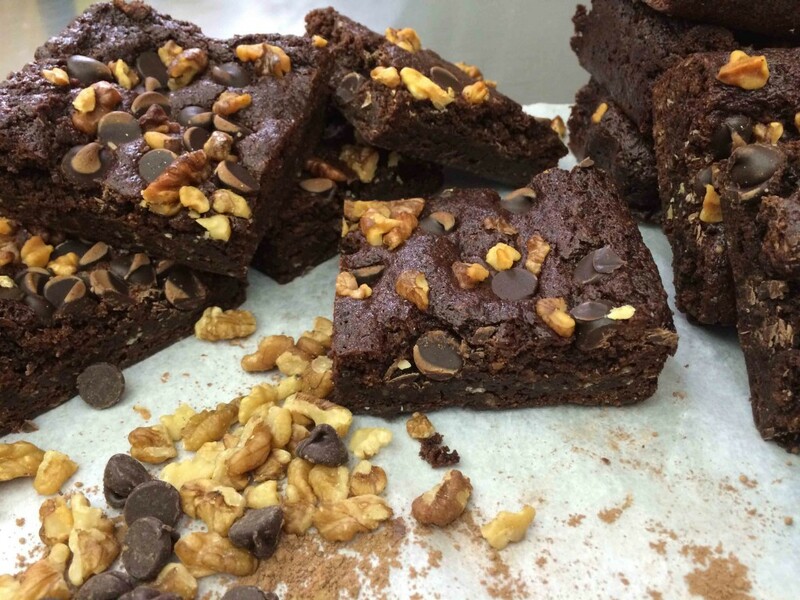 Now they are part of a family-run gluten-free eatery in Baltimore with a name that hints at the secret to their marital and culinary success: Harmony Bakery. Food has always been a family affair for the close-knit Gormans, who ran the locally beloved health-food restaurant Puffins in suburban Baltimore for more than 20 years. Following Don’s lead, Renee and their children, Lisa and Kirk, became vegetarians in the early ‘70s. Renee adopted the gluten-free diet several years ago, in response to debilitating gastrointestinal pain. In ’77 the whole brood—including their two dogs—left their native Baltimore to head to Boston for a year, where Renee and Don apprenticed under a disciple of macrobiotic pioneer Michio Kushi to learn the ins and outs of the restaurant business. When Puffins opened, everyone pitched in. Lise, Renee and Don Gorman (clockwise from top). Photo: Lauren Gilson. Delighting customers has been at the forefront of the Gormans’ mission whether at their restaurants, at the popular city farmers’ market where they’ve been vendors for 11 years or during the period between closing Puffins and opening Harmony, when Don and Renee held cooking classes in their home and published a cookbook. “We realized a long time ago that your vibrations affect your food. And so you really have a responsibility when you’re cooking for people, and we take it seriously,” says Don. At work in the Harmony Bakery Kitchen. Photo: Lauren Gilson. 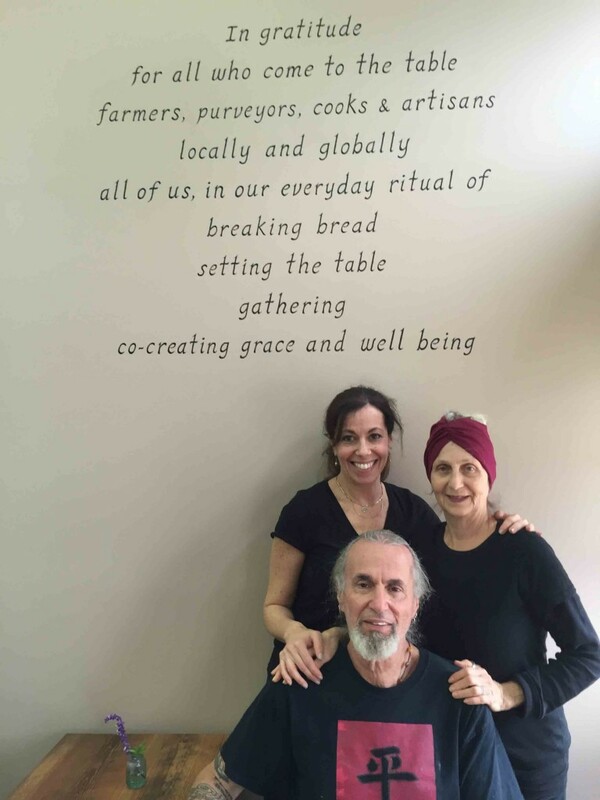 Love—yes that harmony—comes through in everything the family and their team do at the bakery. In just 10 months, they’ve developed a base of regulars who can’t get enough of the cozy, 700-square-foot space, with its open kitchen and mere 10 seats. “Our customers love being here not only for the food but for the whole atmosphere,” says Lisa. But as infectious as the Gormans’ warmth is, it’s undoubtedly the food that keeps customers coming back. The family’s years of experience shine through in their inventive sweet and savory menu—including curry chickpea tarts, rosemary cashew cookies and polenta pies. 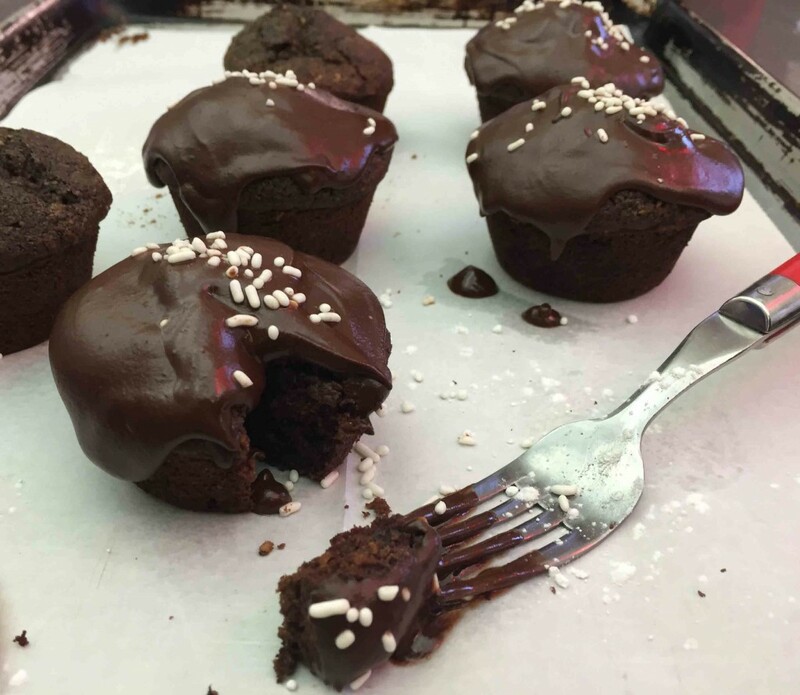 And so, in the spirit of love, family—and chocolate—this Valentine’s Day, the Gormans are sharing recipes for some of their customers’ favorite desserts, all of which are vegan to boot. There are fudge-like brownies that don’t stand a chance of making it home uneaten in a to-go bag. Their secret ingredient: sweet potato. 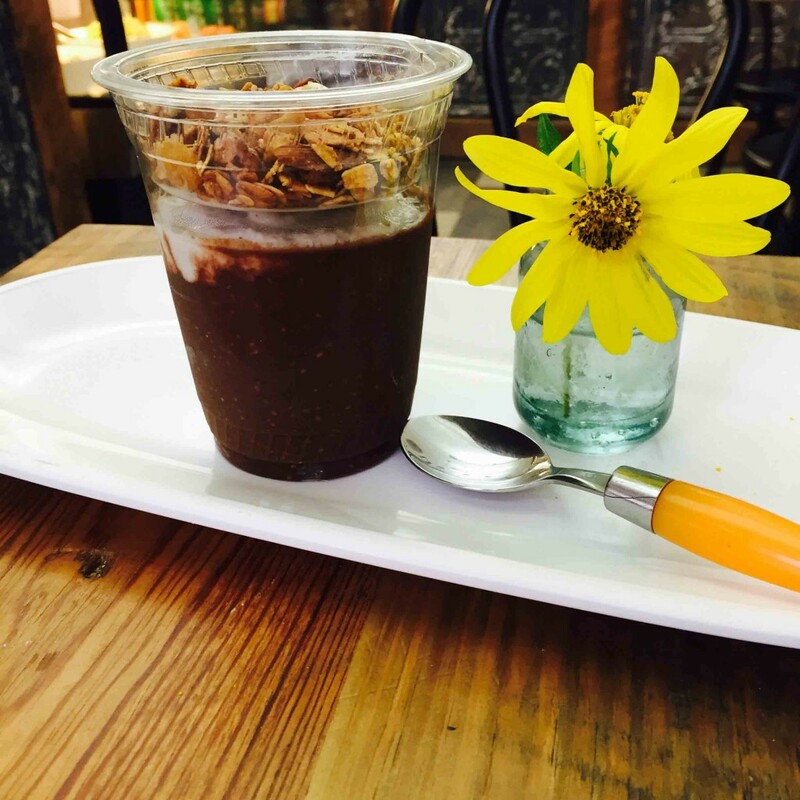 A decadent chia pudding packs a super-food punch and gets topped with a luscious cashew cream. The family’s treasured cupcakes are perfect for decorating—then devouring—with little ones. Make one or all for, or with, the ones you love. Jessica Press is a writer whose work appears in Redbook, Parents, O, The Oprah Magazine and more. 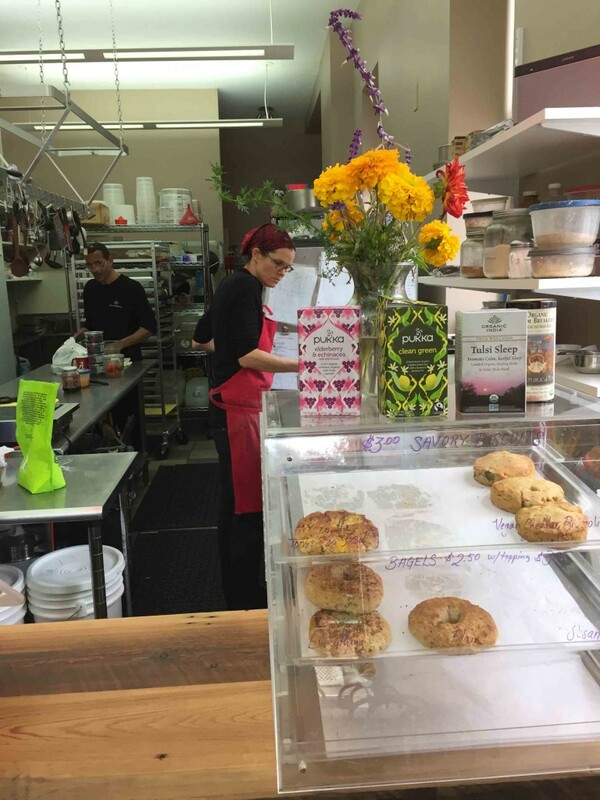 Press and her daughter have celiac disease, and she was thrilled when Harmony Bakery opened soon after she and her family moved to the Baltimore area.